Before moving, you’ll want to make sure that your pup is in good shape. If he/she has any diseases coming into the new home, such as flea or tick infestation or worms, it will be much harder to transition into the new environment. Update any vaccinations and have them perform a general checkup to see the overall condition of your puppy. It’s also a good idea to bring up the move when speaking with your vet to see if they can offer any tips. Crate training comes uncomfortable to many dog owners. They see it more as a punishment than behavioral training. If your puppy hasn’t been crate-trained or has not used his/her crate in awhile, start crate-training him/her again when you move to your new space. Your puppy needs a place that they can feel secure in and that feels like home. You can use a crate as that object that incites that feeling or sense of security. This is best done before you make the final decision to move. Why? So you can see for yourself if the neighborhood is really dog-friendly. But if you’ve already moved, walking around the neighborhood with your puppy can still be a positive experience for him/her. It gets them accustomed to different smells, lets them meet new canine friends, and lets them mark their scent in the new area. You’ll want to bring your pup’s favorite squeaky or chew toy as well as any socks, bones, or sticks he/she values most in your new space. 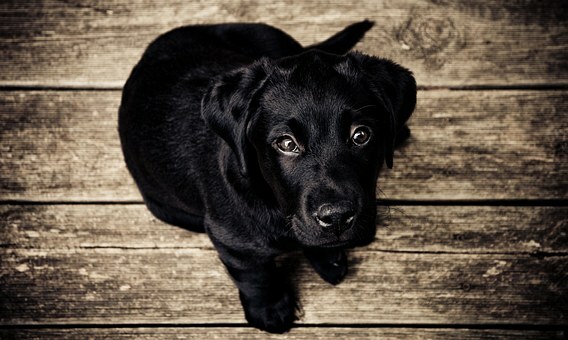 Your puppy will feel more comfortable much faster in the new space if he/she sees and smells objects that are familiar. Remember that dogs and other pets don’t value possessions the way humans do. Your puppy will appreciate their old toys more than they do new ones. Your puppy will adapt to his/her new environment faster if they have a regular clique of dogs that they can interact with on a regular basis. As soon as you move into the new space, bring your pup to the local dog run and let him/her meet new dogs. It takes some time for them to be comfortable enough to play with new dogs and even more time to zero in on dogs that they actually want to be friends with. But when they do, try to strike a relationship with the other dog and their owner and set up play dates. If you’re a full-time professional, you’ll want to take a few days off or work remote for the first few days after your move. Your puppy is already anxious enough as it is in a completely new environment. You don’t want to aggravate it by leaving them alone for the entire day in a space they haven’t acclimated to. Positive reinforcement can work wonders when trying to introduce your pet to a new environment or experience. Do basic commands with your pup when you arrive in the new space. Award them with high-value treats and praises when they do something good, like come to you when called. Invite your friends and let them shower your pup with attention and pets. As a dog owner, your main responsibility is to be patient with your puppy during this difficult time in his/her life. You’ll want to be consistent with crate and basic command training until your puppy starts to get comfortable with his/her new living conditions.